AUCKLAND, New Zealand - Welcome to Kiwitea Street for the ISPS Handa Premiership clash between Auckland City FC and Hawke's Bay United. 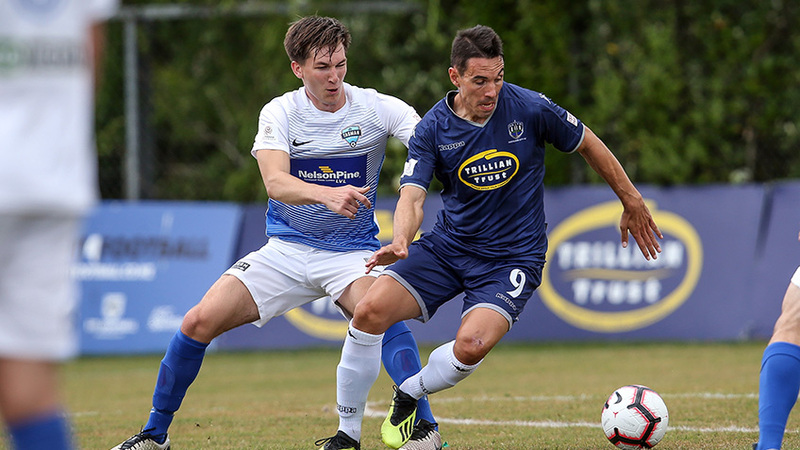 The Navy Blues are keen to pick up points after last week's washed out clash with Southern United while Hawke's Bay United's tough start to the campaign was offset by a courageous 2-2 draw with Canterbury United at Bluewater Stadium. One match was played yesterday with Wellington Phoenix losing 5-1 to Waitakere United and there are four more scheduled for today including our own, they are Canterbury United versus Eastern Suburbs AFC (2pm), Hamilton Wanderers versus Southern United (4pm kick-off) and Team Wellington at home to Tasman United (2pm). Today's Match Programme, the weekly preview and National Youth League report can be accessed at the links below. You can catch the extended highlights of today's match at www.aucklandcityfc.com courtesy of ACFC TV on Monday night or any of Auckland City FC's social media platforms on Facebook, Twitter or Instagram.